My first destination was to either see the Yuma Territorial Prison and Museum or to see the movie called 3:10 to Yuma. The prison won out. After satisfying my history craving, that gateway meant new golf courses to play. Golf Digest magazine rates Yuma as the seventh best city in the United States for golf, based on the number of golf courses, population and affordability. The Guinness Book of World Records ranks Yuma as the sunniest place on earth. At 138 feet (43 metres) in elevation, Yuma has only four inches of rain per year. So leave your rain gear at home and play in the sun. The Yuma golf community knows its market. The population of Yuma and district is 90,000, with the population doubling in winter because of the snowbirds. The average winter visitor is between 66 and 72 years of age and looking for playable, affordable and shorter golf courses. Snowbird golfers are not your usual younger golf fanatics who want to be on the tour. Modern golf course designers tend to make new courses longer and more challenging, but exclusive and expensive. Remember, 90 per cent of golfers cannot break 100 under USGA rules. Yuma understands its customers and markets its product to the recreational golfer. 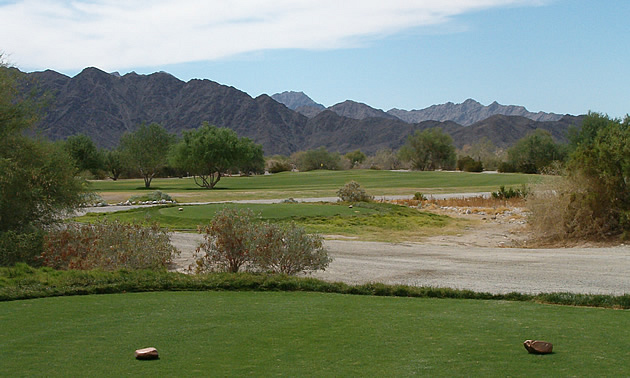 Do not expect lush, high-end golf courses, as in Palm Springs, but expect good desert courses. Eight courses are par threes with 9 to 18 holes and under 3,000 yards. 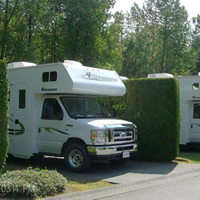 They include Westwind RV and Golf Resort, Foothills Par 3, Fortuna Del Rey Golf and De Oro Resort, Foothills Executive, Hidden Shores Village and RV Resort, Ironwood, Sierra Sands and Butterfield at Wellton. These courses range from $10 to $25 per round. Four courses are 18 holes but under 6,000 yards. They include Cocopah Rio Colorado (formerly Dove Valley) in Somerton, The Links at Coyote Wash in Wellton, Cocopah Bend RV and Golf Resort and Arroyo Dunes municipal in Yuma. These courses are in the $22 to $32 range. That only leaves four courses which could be termed championship courses over 6,000 yards. They are Barbara Worth in Holtville, Mesa de Sol, the Desert Hills municipal course and Las Barrancas in Yuma. These four courses will cost between $35 and $50 with carts. 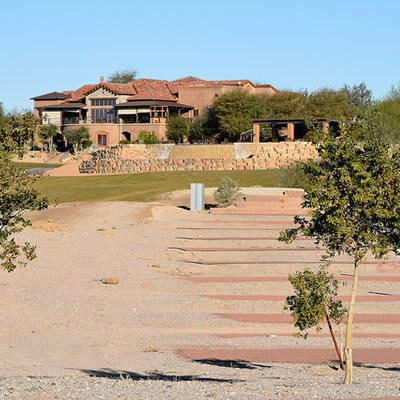 That leaves the Yuma Golf and Country Club, a private 18-hole course. They do welcome all PGA reciprocal golf club members at $90 a round. This course from the tips is 6,332 yards, par 72, C.R., 71.5, slope 126. Mesa del Sol. Designed by Arnold Palmer, this course has a layout that is a figure eight. It is a fully serviced golf course with lots of water and some trees, with houses along some fairways. The greens are Bermuda grass. The course is 6,800 yards from the tips, par 72, C.R., 72.6, slope 124. Desert Hills Golf Course. This is one of the better municipal golf courses. 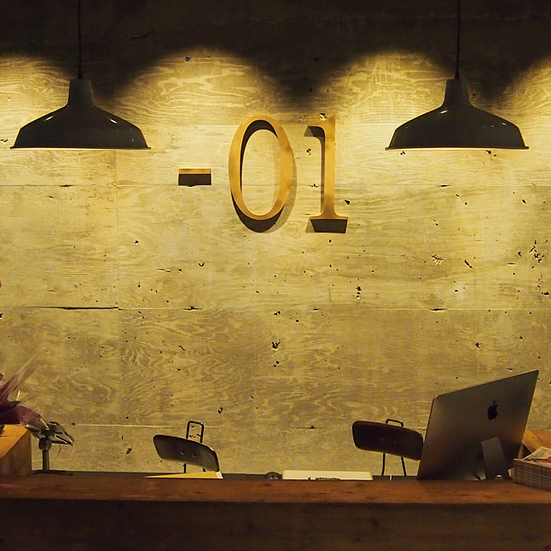 It is a premier golf facility with full service. This course has a traditional layout, with water coming into play on four holes. In the past, Desert Hills hosted the Ben Hogan and Nike Tour events. The course is 6,800 yards from the tips, par 72, C.R., 70.7, slope 127. Barbara Worth Resort. Located in Holtville, California, this course is 45 miles west of Yuma. It is a full service traditional course with water and plenty of trees. From the tips, the course is 6,580 yards, par 71, C.R., 71.8, slope 122. Las Barrancas. This is a personal favourite, especially the back nine, which are hilly and a links style. The course is relatively new, built in 2005, and designed by director of golf Paul White. The carts have GPS, a nice treat. The greens are fast, kept at 9 to 10 on the stimpmeter. The course is 6,880 yards from the tips, par 72, C.R., 73.1, slope 127. Remember, golf is only a game. If you select the right golf course based on your ability, play the appropriate tees and go up one club, you will score well and have a lot more fun.